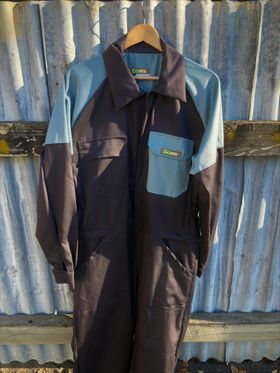 Zanux womens overalls are specifically designed for women working outdoors.They are flattering and comfortable. Women no longer need to wear mens overalls and look plain. Zanux overalls are full of features women will love. Zip on the hips for quick access when you've got to go! :) No need to take off all the overall to use the bathroom. Super convenient for girls on the go! 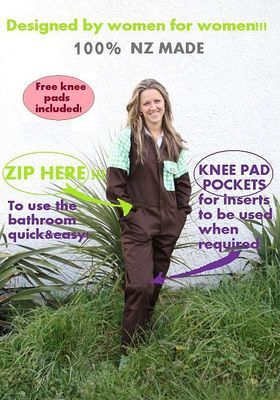 Knee pad pockets and inserts for knee support- ideal for gardeners! Zanux will dress you for the job and make you feel like a woman! Our mission is to bring the feel good about yourself factor into your work day even when doing the toughest jobs. Ladies, we hope you love your Zanux gear, it is, after all, made for you! Visit Products to shop online using Paypal or Bank transfer.